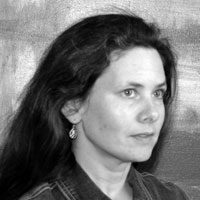 stef bradford is a contributor to The Aasgaard Company books and website as author, editor, and designer. She coordinates publication on StartingStrength.com and the Forums. 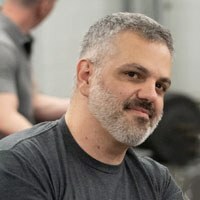 Nick Delgadillo runs operations for The Aasgaard Company and is Head of Corporate Development for Starting Strength Gyms. 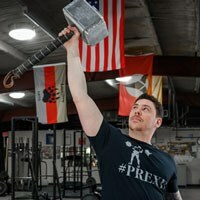 Pete Troupos is the Social Media manager for Starting Strength and Starting Strength Gyms. 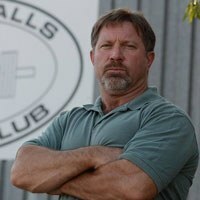 He also coordinates Starting Strength Training Camps and other events around the country. Carmen Phillips manages Wichita Falls Athletic Club and handles event planning for The Aasgaard Company. 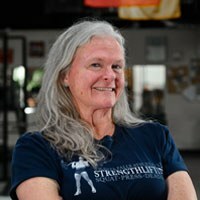 She specializes in applying the Starting Strength Method to the older, more frail members of WFAC. Bre Hillen assists with Aasgaard Company operations. She’s the lead person for The Aasgaard Company store customer service, logistics, and fulfillment. 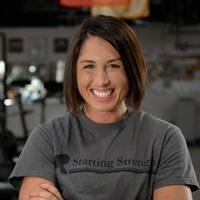 She also handles administration of Starting Strength Coach Maintenance of Certification. Rusty Holcomb coaches at WFAC and handles media production for The Aasgaard Company. Rusty is the sole cat person associated with The Aasgaard Company. 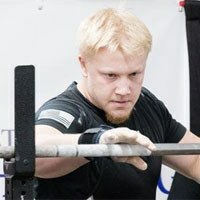 Chase Lindley coaches at WFAC and currently serves as the jack-of-all-trades, especially any time Muscle is required. 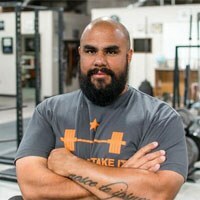 The Starting Strength Coach Development program is led by Brent Carter, stef bradford, and Nick Delgadillo. Mentors Nick D'Agostino, Mia Inman, Jordan Stanton, Ryan O'Connell-Peller, and Scott Acosta round out the team.